In the 1930s cheaper electricity made electric appliances like washing machines more economical to use, and they became more common. 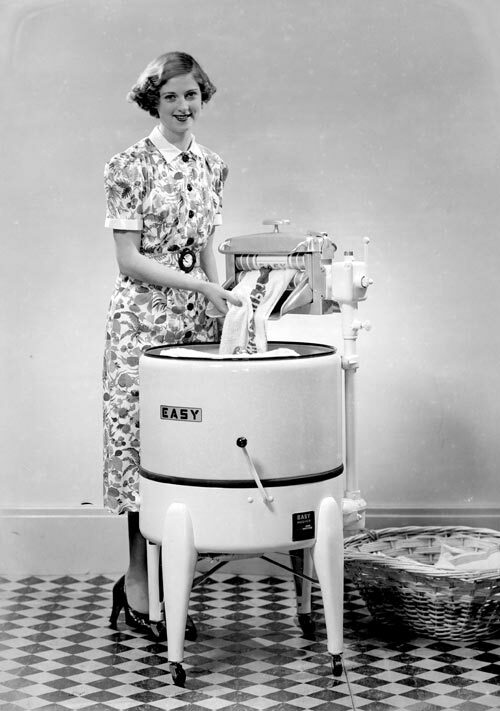 This smiling young woman is demonstrating the 'Easy' brand of washing machine. Wringers could be dangerous to use, so no sensible housewife would put items through the wringer and look elsewhere as this woman (a model) is doing.